En menos de dos meses, la AHA requerirá el uso de un dispositivo de retroalimentación en todos los cursos de AHA que enseñan RCP para adultos. 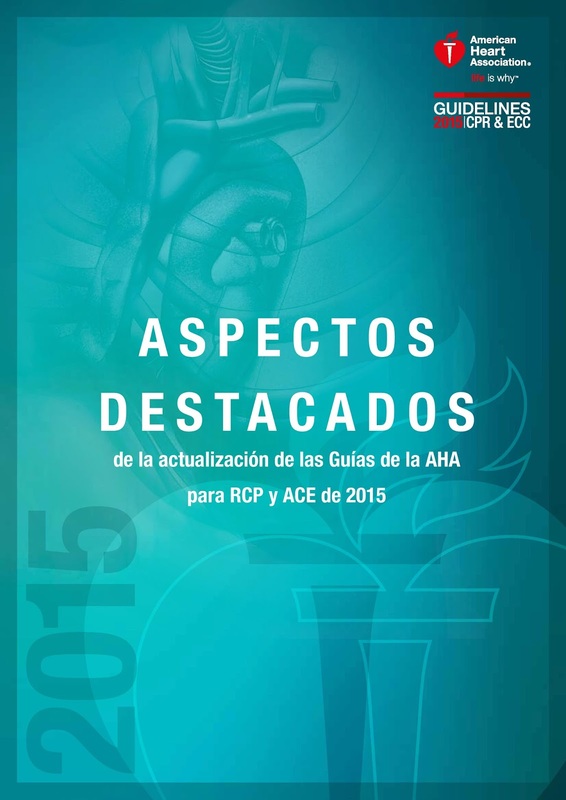 El requisito se basa en evidencia científica de la última actualización de las Directrices de la AHA para RCP y ECC, y entrará en vigencia el 31 de enero de 2019. Esto incluye Heartsaver, BLS, ACLS y ACLS para proveedores con experiencia. Los dispositivos de retroalimentación de RCP deberán proporcionar, como mínimo, retroalimentación de audio y / o visual tanto en la tasa de compresión como en la profundidad para satisfacer el requisito. 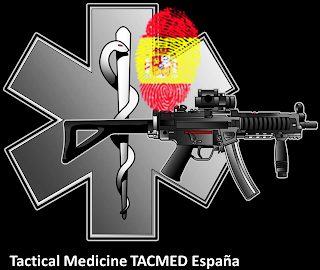 DESFIBRILACION "Cardio-Version NO Sincronizada": "Recursos sin conocimiento, NO son, NI seran Suficiente para salvar vidas, por el contrario, pueden convertirse en armas mortales que producen daños irreparables, tales como la muerte. El mundo esta lleno de personas con buenas intenciones, pero esta sin la formacion adecuada solo daña"
PRIMUN NON NOCERE "Lo Primero es No HACER Daño"
Muchas PERSONAS FALLECEN producto de mala o nula atención. En 4 minutos TU PUEDES aprender cómo salvar o mantener con vida a una persona en espera de ayuda especializada. Este video busca generar impacto en la población y una instancia de APRENDIZAJE SIMPLE y dinámica de modo que quien lo vea entienda y aprenda cómo realizar una buena técnica de Reanimación Cardiopulmonar (RCP y DEA) con pasos muy simples. The 2015 Guidelines Highlights provides a summary by topic of the 2015 changes to resuscitation guidelines. Last Wednesday was like the night before Christmas for the BoringEM team. 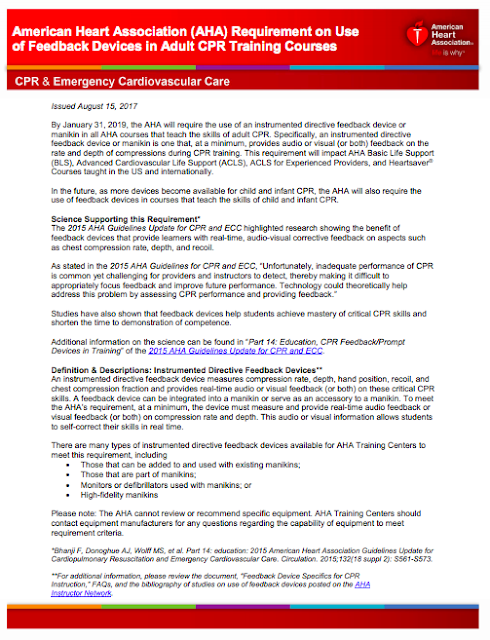 We had trouble getting to sleep as we awaited the Thursday release of the 2015 ILCOR / AHA / Heart & Stroke Foundation of Canada guidelines for Cardiopulmonary Resuscitation (CPR) and Emergency Cardiac Care (ECC)! We spent the prior week planning for how our team could help to translate and disseminate this material to our readers, the #FOAMed community, and around the world. We are happy to share what we came up with today. 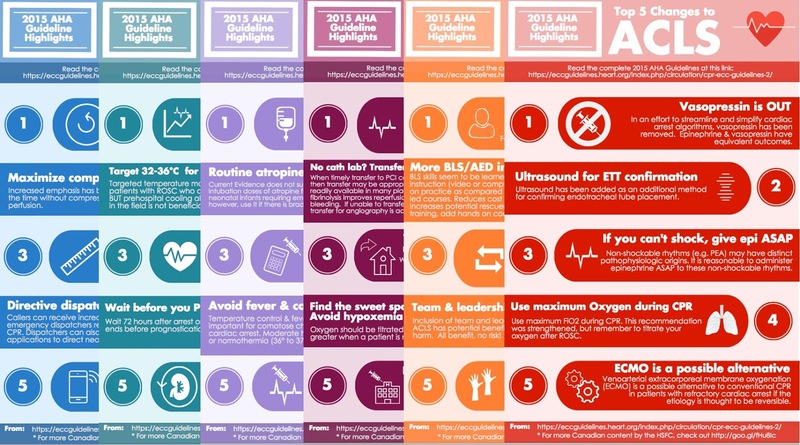 By now, many of you have seen the results of our infographic campaign to disseminate the “Top Five Changes” from each section of the 2015 AHA Guidelines on Twitter and Facebook. Collectively, these resources have been shared and retweeted >500 times (!!) in just a few days. This blog post compiles the full collection in one place. 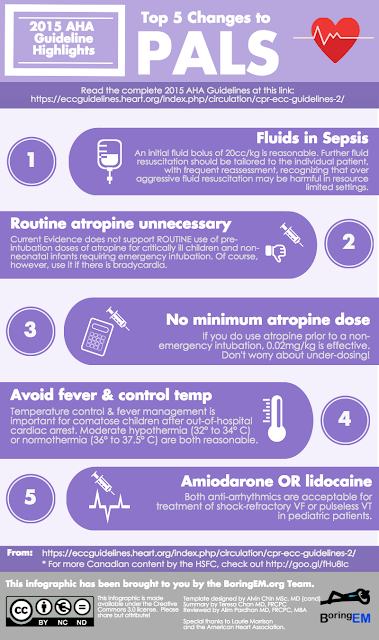 In keeping with our goal to help disseminate these changes as quickly as possible, we hope that you will share them either by passing this post along to your colleagues via email or social media or by printing the PDF version to paste on the walls of your hospital, ambulance bay, or hangar. 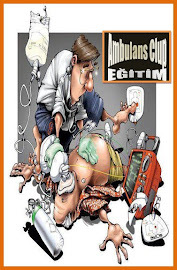 In emergency medicine, we see the sickest patients in their sickest moments. 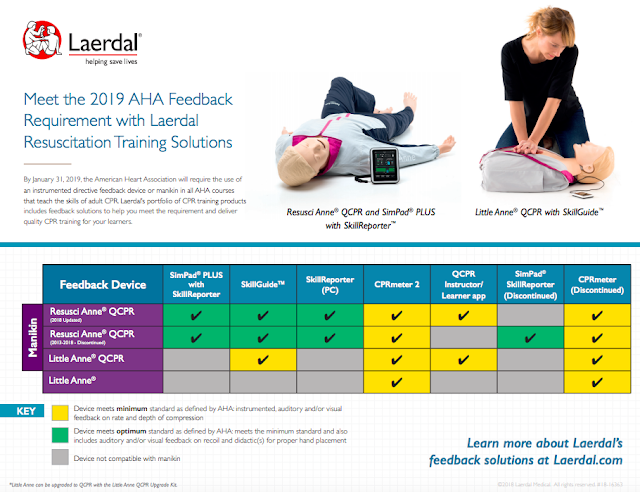 Whether you’re a respiratory therapist, registered nurse, paramedic, or physician, you have likely wondered if your resuscitation efforts are worth it; worth the time, the commitment, the money, and the emotional drain. 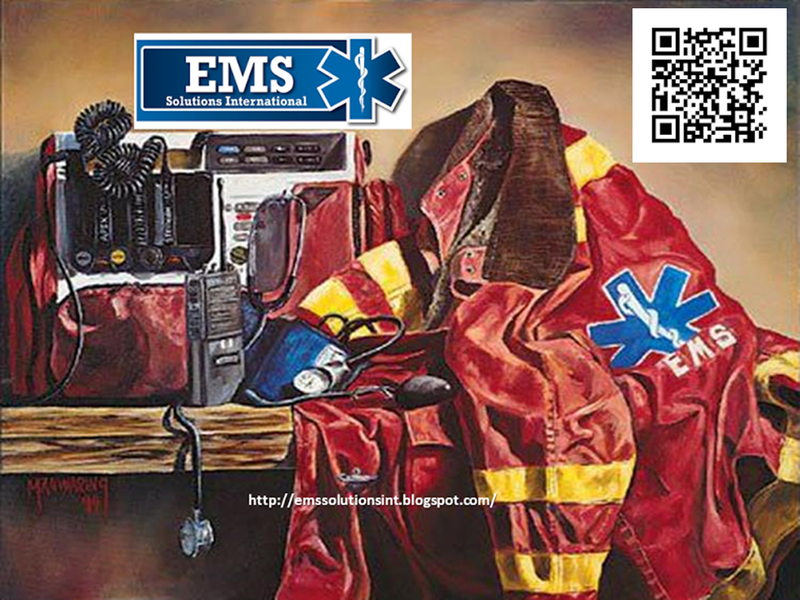 Whether it’s moaning when someone yells “I feel a pulse!” or groaning when the patch phone rings with a “VSA 10 minutes out”, at times we all question if what we are doing right. It’s important for us to recognize how narrow our perspective is. Patients are often comatose and unstable after a successful resuscitation and it’s easy to assume death will follow shortly after admission. However, the numbers have become more encouraging than most of us realize. 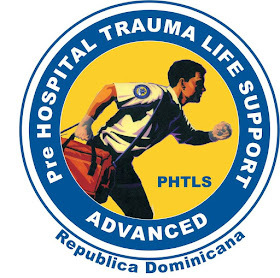 Advanced cardiac life support efforts have been described as “heroic” since the 1960’s. Researchers have trialed therapies in dogs, pigs, and people searching for a “magic bullet” – a drug, a device, a technique – that can reverse death. 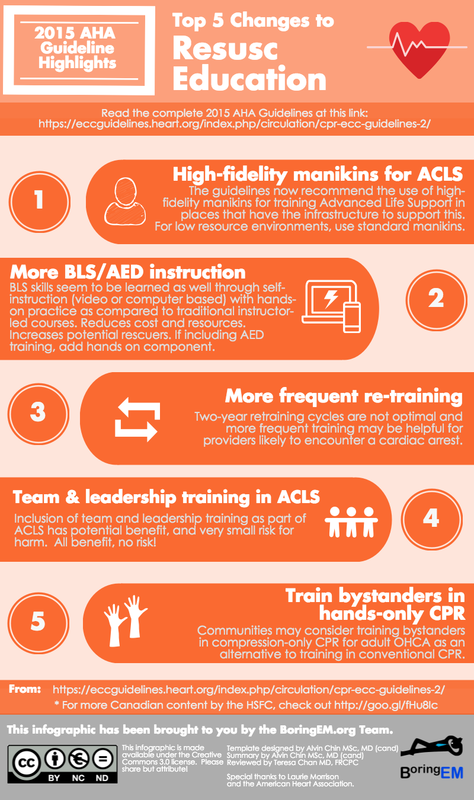 While defibrillation and early, high-quality CPR are often cited as “the only things that work,” the survival rates for out of hospital cardiac arrest continue to climb as we refine the ACLS algorithm. While nailing down interventions supported by P-values and confidence intervals has proven elusive, these trends indicate that we are on the right path. 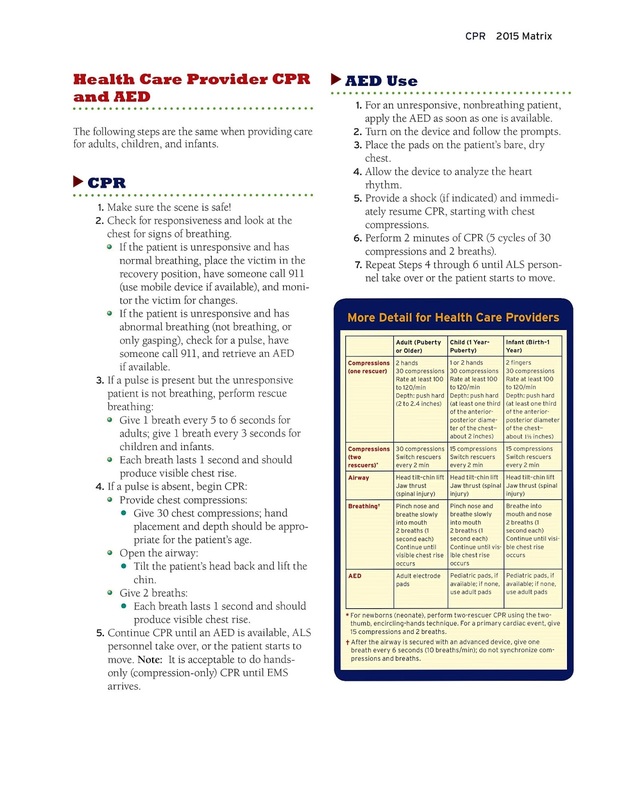 Cardiac arrest survival is varies from 2% to 59% depending on the rhythm (shockable or nonshockable) and where you live. 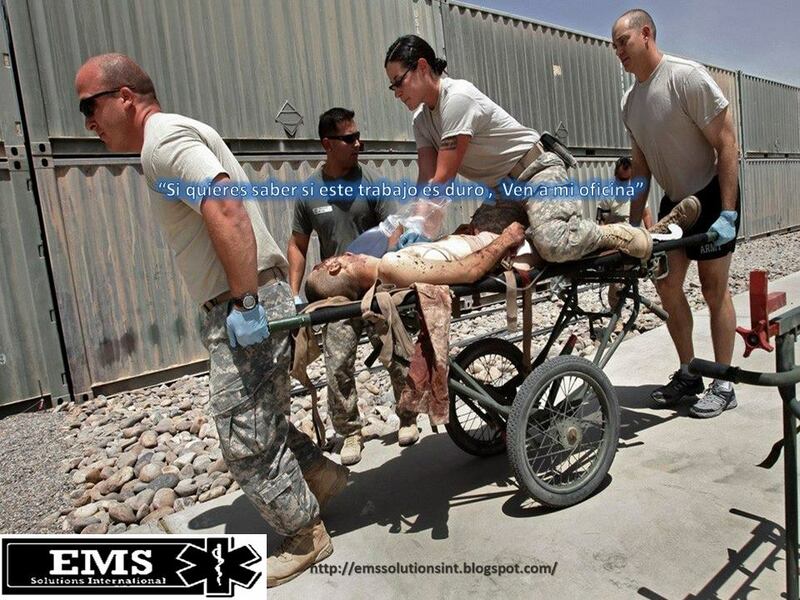 Survival is increasing – everywhere. In Ontario, Canada survival has climbed from 4% to 10% in the last decade! Prognostication is hard. The guidelines now recommend waiting 72 hours before initiating exams to determine futility. 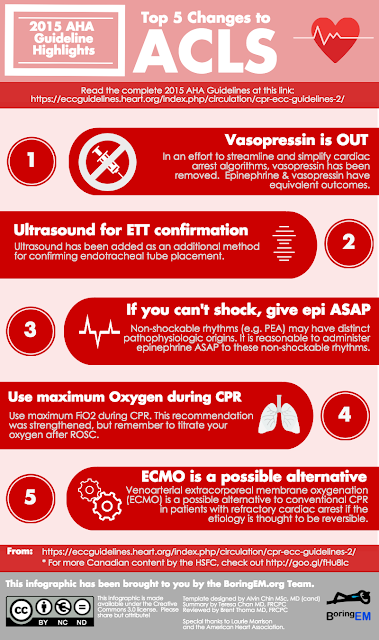 Decisions to withdraw life support in the emergency department should take into account our inability to accurately prognosticate post-cardiac arrest patients in the ED. Futility is not the rule. While many succumb to cardiac arrest, we also have survivors with remarkable stories: Children with prolonged downtimes who recover fully; middle-aged snow-shovellers who make it home for the holidays; and elderly people who survive to see the birth of a grandson or the graduation of a granddaughter. These people are the reason we dedicate ourselves to advancing the science of resuscitation; translating knowledge into practice through education, mentorship, administrative actions, and policy work; and hitting the front lines armed with two hands, two pads, and good judgment. 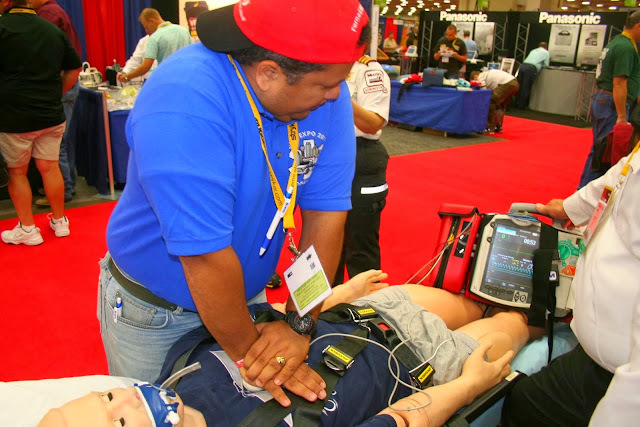 How high can survival from cardiac arrest go? That’s one question science hasn’t yet answered! 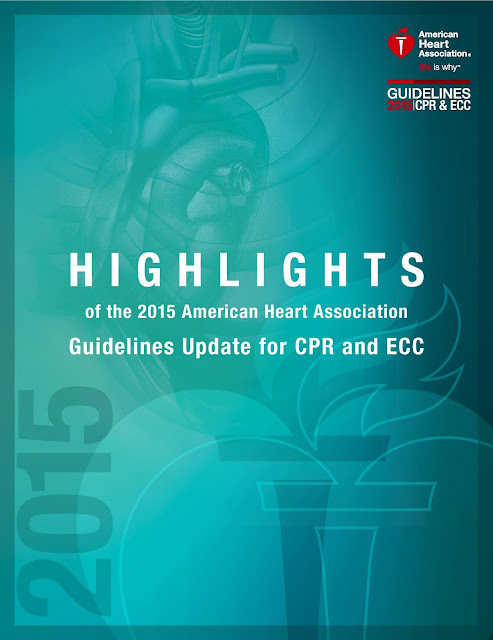 The BoringEM team believes strongly in the science and expert deliberations that resulted in the 2015 AHA guidelines. This series of infographics highlights the changes since the 2010 publication but are not meant to replace a sound understanding of the guidelines and literature, nor to fully communicate the nuances of best practices in resuscitation. 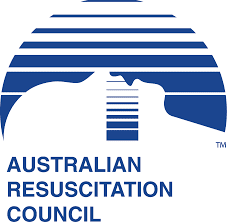 We hope only that they spur those on the front lines to delve deeper into the medicine of resuscitation while hastening the translation of the best available evidence from guideline into practice. 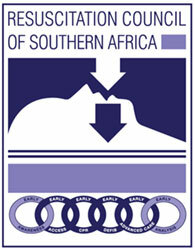 Click on the links below to download PNG or PDF versions of each individual update infographic. 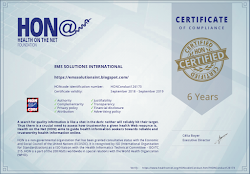 At BoringEM, we know that educators can play a key role in translating the knowledge within the pages of medical journals into actions at the bedside by creating user-friendly resources. Traditionally, this has been done using lectures, workshops, and ACLS courses… but this year we were approached by Canadian EMS / Resuscitation guru Dr. Laurie Morrison and asked to use social media to spread the word. We hope this little initiative might inspire a new wave of knowledge translation efforts for important medical literature. Projects like these are not possible without a great team. Special thanks should be given to our writers (Blair Bigham, Sarah Luckett-Gatopoulos, Brent Thoma, Ponn Benjamin, Teresa Chan), editors (Alim Pardhan, Michelle Welsford, Teresa Chan, Brent Thoma), and designers (Alvin Chin, Teresa Chan) for putting aside other projects to concentrate on this one. 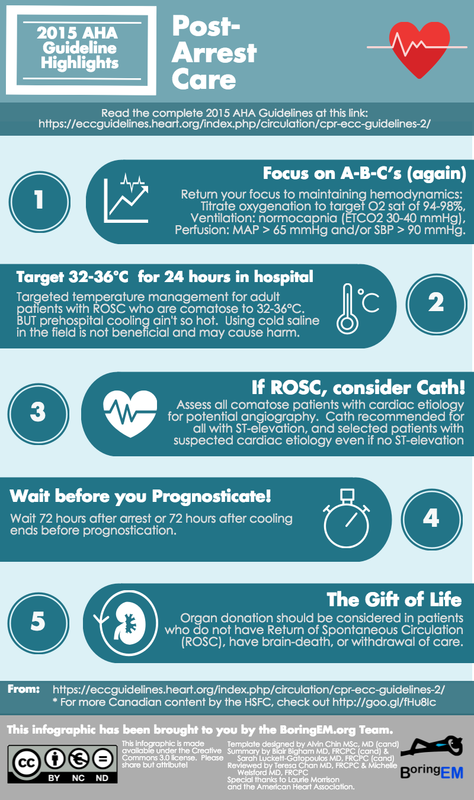 Our resuscitation guru and mentor, Dr. Laurie Morrison, also deserves credit for inspiring this project. NOTE (oct 23, 2015): A post-publication review came in from a few people re: the Special Circumstances post. The word “to” was changed to “with” in point 1, and on point 5, the term “cardiac arrest” was changed to “respiratory arrest” to fit the description for ALS providers. The changes are based on a large study that showed as compressions surpassed 120 per minute, rescuers didn’t push as hard on the chest, decreasing blood circulation. At 100 to 119 per minute, only 35 percent of compressions didn’t go deep enough. 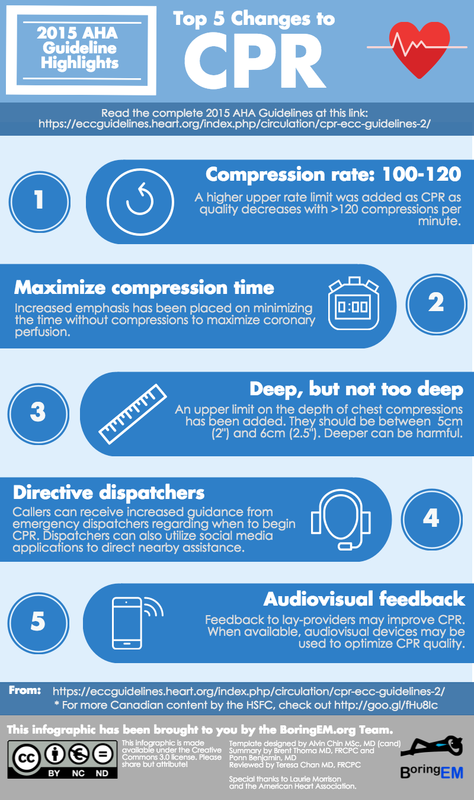 “Compressing more than 120 times per minute is pretty difficult and most people will naturally compress 100 to 110 times per minute,” said Clifton Callaway, M.D., chair of the AHA’s Emergency Cardiovascular Care Committee. The upper limit for depth came from one small study that suggested that injuries were possible with chest compressions beyond 2.4 inches. 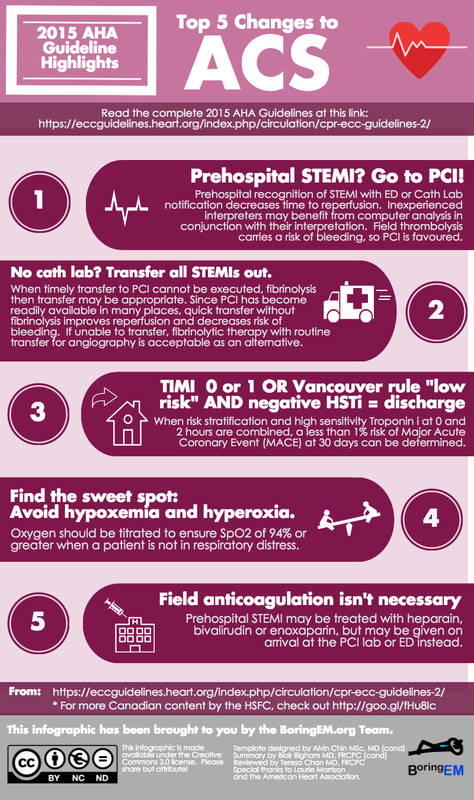 At an AHA-hosted ILCOR conference in January, seven expert panels discussed, debated and reached consensus on hundreds of resuscitation topics, based on research published since the 2010 guidelines. 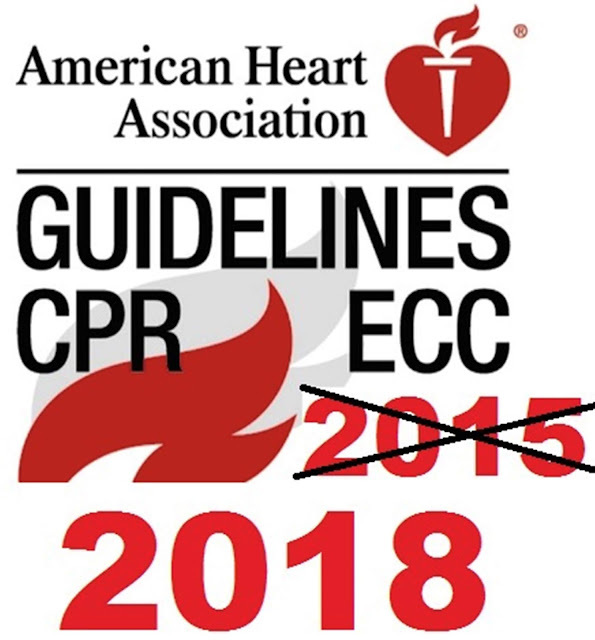 The AHA used that scientific consensus to create the CPR and Emergency Cardiovascular Care guidelines: “how-to” manuals that translate the science into practice. They were published Thursday inCirculation. 1. Over 326,000 out-of-hospital cardiac arrests (OHCA) and 209,000 in-hospital cardiac arrests (IHCA) occur annually. Despite advances in resuscitation science, survival rates are only about 10%. 2. This 2015 AHA Guidelines Update for CPR and ECC marks the transition from periodic review and publication of new science-based recommendations to a more continuous process of evidence evaluation and guideline optimization designed to more rapidly translate new science into resuscitation practice that will save more lives. 3. 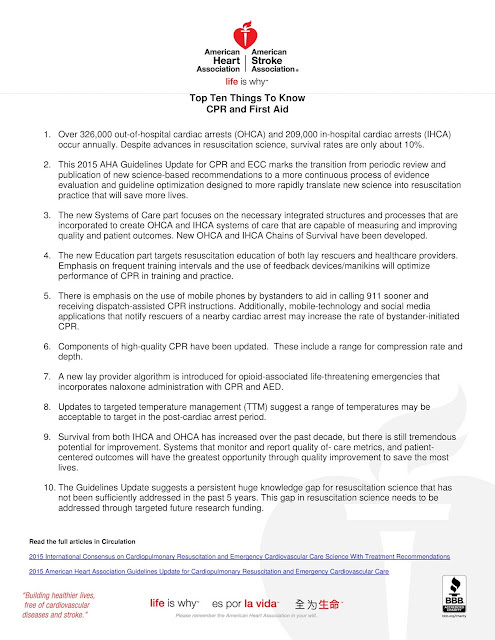 The new Systems of Care part focuses on the necessary integrated structures and processes that are incorporated to create OHCA and IHCA systems of care that are capable of measuring and improving quality and patient outcomes. 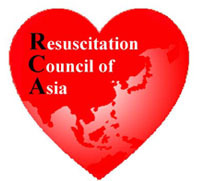 New OHCA and IHCA Chains of Survival have been developed. 4. The new Education part targets resuscitation education of both lay rescuers and healthcare providers. Emphasis on frequent training intervals and the use of feedback devices/manikins will optimize performance of CPR in training and practice. 5. 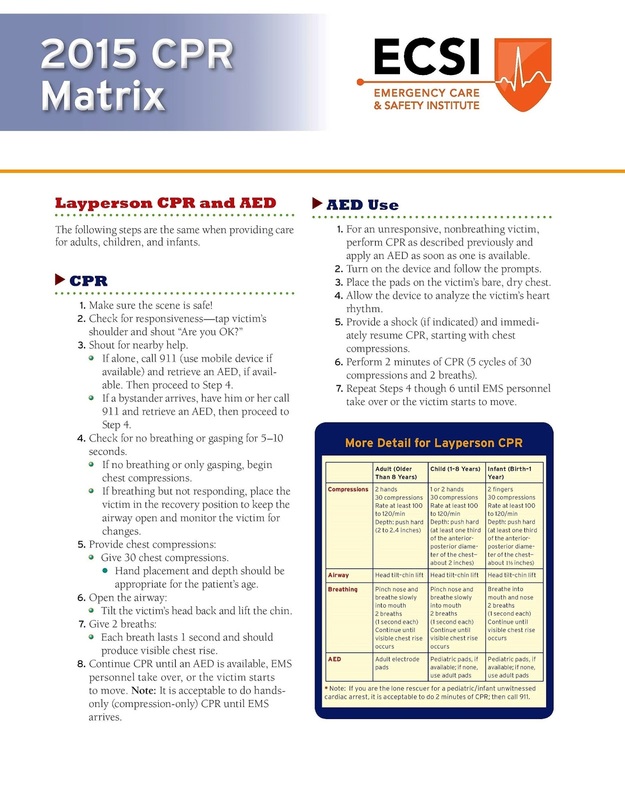 There is emphasis on the use of mobile phones by bystanders to aid in calling 911 sooner and receiving dispatch-assisted CPR instructions. 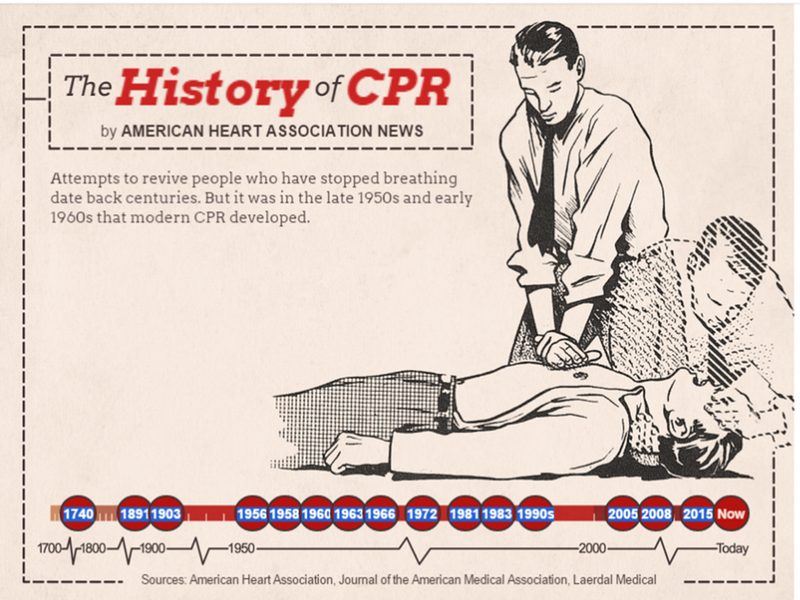 Additionally, mobile-technology and social media applications that notify rescuers of a nearby cardiac arrest may increase the rate of bystander-initiated CPR. 6. 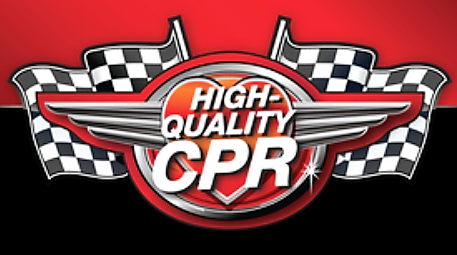 Components of high-quality CPR have been updated. These include a range for compression rate and depth. 7. 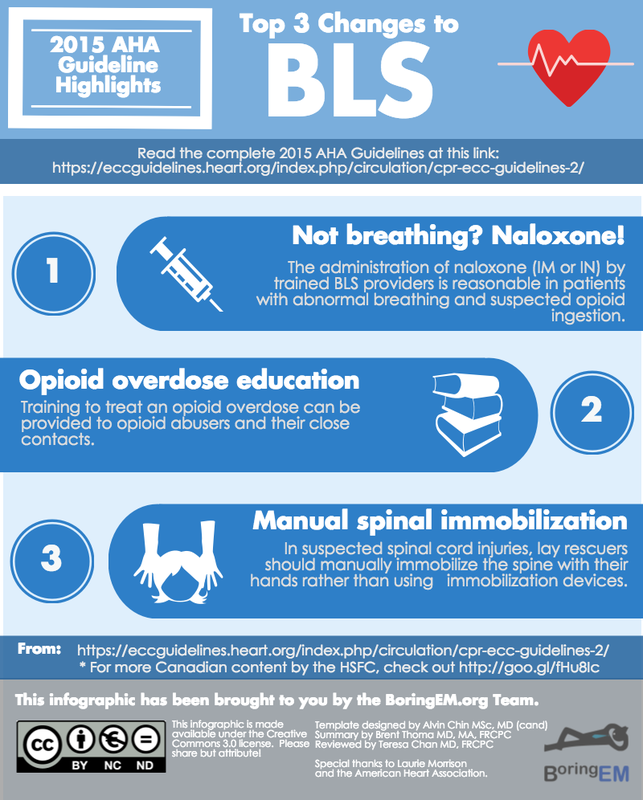 A new lay provider algorithm is introduced for opioid-associated life-threatening emergencies that incorporates naloxone administration with CPR and AED. 8. 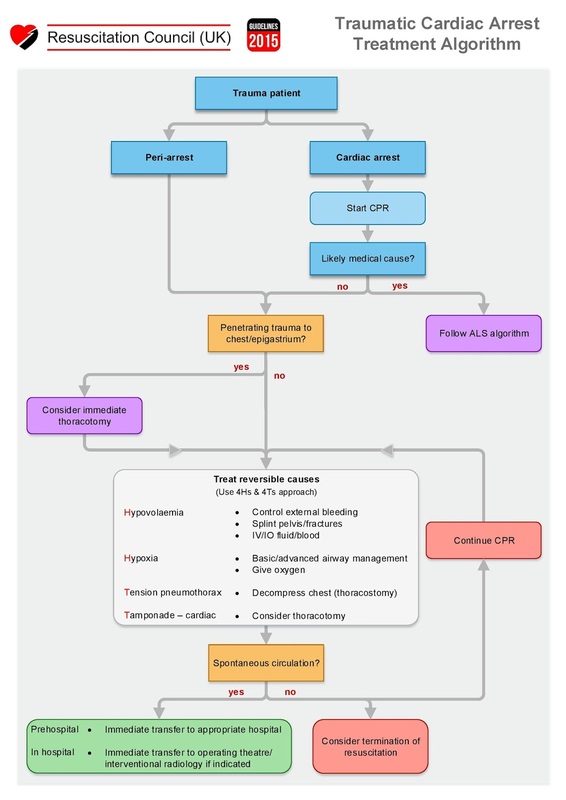 Updates to targeted temperature management (TTM) suggest a range of temperatures may be acceptable to target in the post-cardiac arrest period. 9. 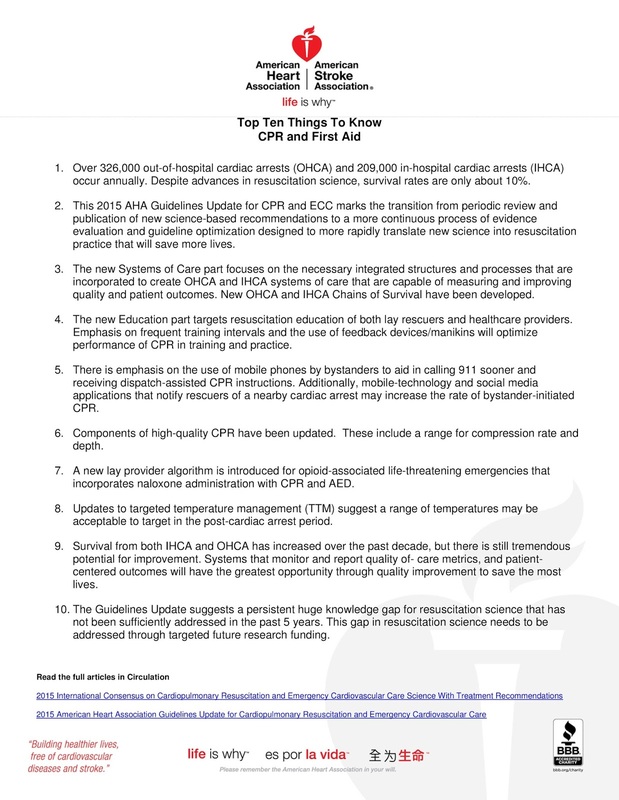 Survival from both IHCA and OHCA has increased over the past decade, but there is still tremendous potential for improvement. Systems that monitor and report quality of- care metrics, and patientcentered outcomes will have the greatest opportunity through quality improvement to save the most lives. 10. The Guidelines Update suggests a persistent huge knowledge gap for resuscitation science that has not been sufficiently addressed in the past 5 years. This gap in resuscitation science needs to be addressed through targeted future research funding. 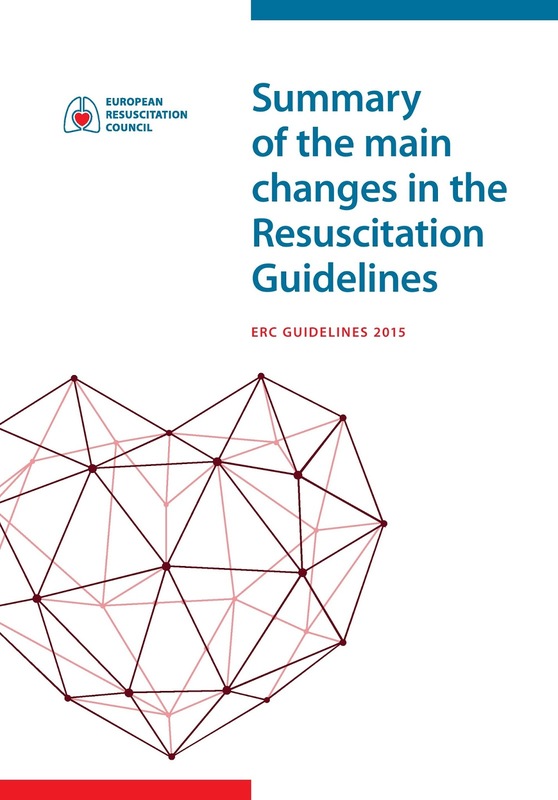 Summary of the main changes in the Resuscitation "Guidelines ERC GUIDELINES 2015"
El documento de Consenso Internacional está siendo redactado y será publicado en las revistas Resuscitation y Circulation el 15 de octubre de 2015. 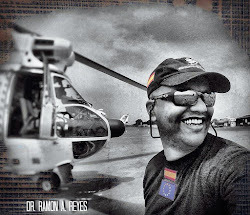 Recomendaciones de tratamiento: se sugiere utilizar alternativamente una vía aérea supraglótica o un tubo endotraqueal como manejo inicial avanzado de la vía aérea durante la RCP, tanto para la PCR extrahospitalaria como intrahospitalaria (recomendación débil, evidencia de muy baja calidad). A2. Manejo básico de la vía aérea (bolsa, mascarilla y tubo orofaringeo, frente a vía aérea avanzada, endotraqueal o supraglótica). 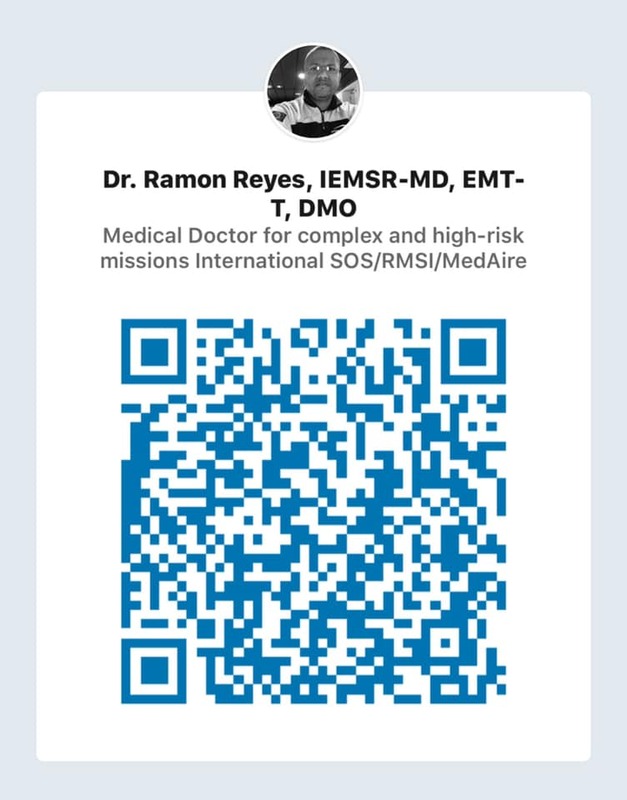 Recomendaciones de tratamiento: se sugiere utilizar tanto una vía aérea avanzada como un manejo básico de la vía aérea con bolsa y mascarilla, durante la RCP tanto para la PCR extrahospitalaria como intrahospitalaria (recomendación débil, evidencia de muy baja calidad). Recomendaciones de tratamiento: se sugiere que un valor de ETCO2 ≥ 10 mmHg, medido tras la intubación o a los 20 minutos de la resucitación, puede ser un predictor de recuperación de la circulación espontánea (recomendación débil, evidencia de baja calidad). Se sugiere que un valor de ETCO2 ≥10 mmHg, medido tras la intubación o ≥20 mmHg medido a los 20 minutos de la resucitación, puede ser un predictor de supervivencia al alta (recomendación débil, evidencia de baja calidad). Aunque ciertos valores de corte de ETCO2 pueden ser un fuerte predictor de recuperación de la circulación espontánea y mortalidad, su utilidad en predecir con exactitud el resultado de la RCP no se ha establecido. De esta manera se recomienda nuevamente utilizar valores de corte de ETCO2 sólo como un predictor de mortalidad o en la decisión de cesar en los intentos de resucitación (recomendación débil, evidencia de baja calidad). Recomendaciones de tratamiento: se recomienda prevención y tratamiento de la fiebre persistente en pacientes adultos, después de un manejo con objetivo de temperatura entre 32 y 36 °C (recomendación débil, evidencia de muy baja calidad). Recomendaciones de tratamiento: se sugiere la aplicación de objetivos hemodinámicos, de presión arterial sistólica o media, durante los cuidados post-resucitación como una parte de cualquier paquete de medidas de las intervenciones en esta fase (recomendación débil, evidencia de baja calidad). Existe evidencia insuficiente para recomendar objetivos hemodinámicos específicos y los mismos deben ser considerados individualizando cada paciente y estarán influenciados por el estado post-resucitación y las comorbilidades preexistentes que sean consideradas (recomendación débil, evidencia de baja calidad). 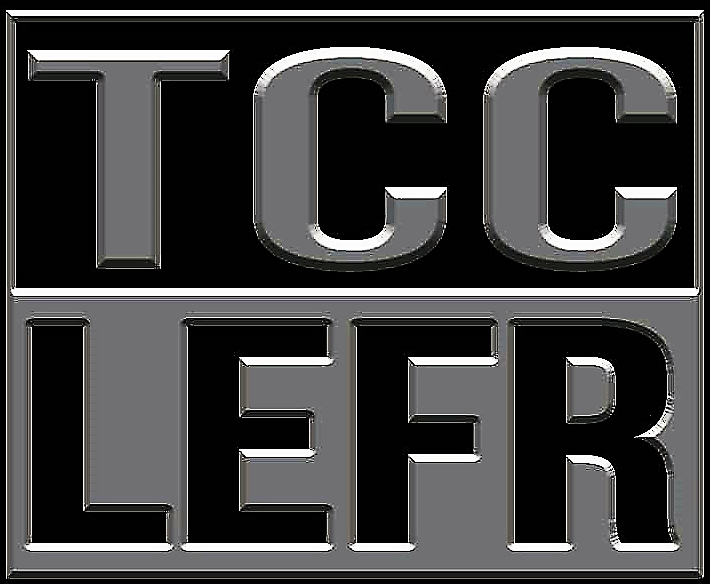 Recomendaciones de tratamiento: no se recomienda el uso rutinario del DUI junto con la RCP estándar (recomendación fuerte, evidencia de alta calidad). Se sugiere la no utilización rutinaria del DUI junto con sistemas de RCP compresión-descompresión (recomendación débil, evidencia de muy baja calidad). Se sugiere la no utilización rutinaria del DUI junto con sistemas de RCP compresión-descompresión como una alternativa a la RCP estándar (recomendación débil, evidencia de muy baja calidad). Recomendaciones de tratamiento: se recomienda el manejo con objetivo de temperatura en contra del manejo sin el mismo, en pacientes adultos con parada cardíaca extrahospitalaria, con ritmo inicial desfibrilable y que permanecen en coma, tras la recuperación de la circulación espontánea (recomendación fuerte, evidencia de baja calidad). Se sugiere el manejo con objetivo de temperatura en contra del manejo sin el mismo, en pacientes adultos con parada cardíaca extrahospitalaria, con ritmo inicial no desfibrilable, que permanecen en coma tras la recuperación de la circulación espontánea (recomendación débil, evidencia de muy baja calidad). Recomendaciones de tratamiento: se sugiere que los dispositivos mecánicos de compresión torácica no deben ser considerados como un estándar de cuidados para los pacientes en parada cardíaca, pero pueden ser considerados como una alternativa razonable a las compresiones torácicas manuales de alta calidad en algunas situaciones (recomendación débil, evidencia de moderada calidad). Recomendaciones de tratamiento: se recomienda que todos los pacientes con recuperación de la circulación espontánea tras la RCP y que progresan a la muerte cerebral deben ser evaluados para la donación de órganos (recomendación fuerte, evidencia de baja calidad). Se sugiere que los pacientes que fracasan para conseguir recuperación de la circulación espontánea tras la PCR y que en otras situaciones se consideraría el cese de los esfuerzos en resucitación deben ser considerados para la donación de riñón o hígado, en aquellos lugares donde existan los programas correspondientes (recomendación débil, evidencia de baja calidad). Recomendaciones de tratamiento: se recomienda evitar la hipoxia en adultos con recuperación de la circulación espontánea tras la parada cardíaca en cualquier situación (recomendación fuerte, evidencia de muy baja calidad). Se sugiere evitar la hiperoxia en adultos con recuperación de la circulación espontánea tras parada cardíaca en cualquier situación (recomendación débil, evidencia de muy baja calidad). Se sugiere el uso de una fracción inspirada de oxígeno de uno hasta que la saturación arterial de oxígeno o la presión parcial arterial de oxígeno puedan ser medidas de forma fiable, en adultos con recuperación de la circulación espontánea tras parada cardíaca en cualquier situación (recomendación débil, evidencia de muy baja calidad). Examen clínico: en pacientes en coma tras la RCP por parada cardíaca y que son tratados con manejo por objetivos de la temperatura, se recomienda utilizar la ausencia de reflejos pupilares fotomotores o la ausencia de reflejos corneales y pupilares, a las 72 horas de la recuperación de la circulación espontánea, como predictores de mal pronóstico. No se sugiere la utilización de respuesta motora extensora o ausente únicamente para predecir un mal pronóstico, dado el alto porcentaje de falsos positivos. 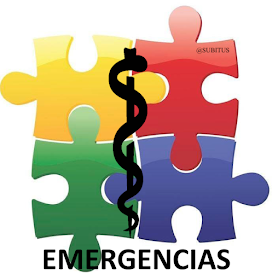 Sin embargo, debido a su alta sensibilidad este signo puede utilizarse para identificar a los pacientes con estado neurológico muy deteriorado que necesitan evaluación pronóstica para predecir la evolución final, en combinación con otros predictores más robustos. Se sugiere la utilización de la presencia de un estado mioclónico en las primeras 72 horas tras la recuperación de la circulación espontánea, en combinación con otros predictores, para la predicción de un resultado neurológico pobre. Se sugiere prolongar la observación de los signos clínicos cuando existe interferencia con sedación residual o miorelajantes, de forma que la posibilidad de obtener resultados falsos positivos se reduzca. Se recomienda que, para establecer un pronóstico neurológico malo, lo más temprano debe hacerse a las 72 horas tras recuperación de la circulación espontánea. Debe extenderse más tiempo sin el efecto residual de sedación o miorelajantes, que puede confundir en la exploración clínica. Electrofisiología: en pacientes en coma tras la resucitación de parada cardíaca y tratados con un manejo de temperatura por objetivos, se recomienda utilizar la ausencia bilateral de ondas N20 en el estudio de potenciales evocados somatosensoriales, a las 72 horas tras la recuperación de la circulación espontánea, como predictor de mal pronóstico. El registro de potenciales evocadosrequiere experiencia y habilidades apropiadas, y en su realización deben evitarse interferencias eléctricas de artefactos musculares o de equipos del entorno en las unidades de críticos. En pacientes en coma tras la resucitación y tratados con manejo de temperatura por objetivos se sugiere utilizar el EEG como predictor de mal pronóstico, si se observa ausencia de reactividad a estímulos externos, presencia de brotes-supresión tras la recuperación de la temperatura corporal o signos de estado epiléptico 72 horas después de la recuperación de la circulación espontánea, en combinación con otros predictores de mal resultado neurológico. No se sugiere utilizar el índice biespectral (BIS) para predecir mal pronóstico durante el manejo de temperatura por objetivos en pacientes en coma tras la resucitación. Biomarcadores: en pacientes en coma tras la resucitación y que son tratados con manejo por objetivos de la temperatura se sugiere utilizar valores séricos elevados de enolasa neuro-específica a las 48-72 horas tras la recuperación de la circulación espontánea, en combinación con otros predictores de mal resultado neurológico. Sin embargo, no puede recomendarse un valor umbral de predicción. Se sugiere repetir las determinaciones de la misma en múltiples momentos para evitar resultados falsos positivos debidos a hemólisis. Técnicas de imagen: en pacientes en coma tras la resucitación y tratados con manejo de la temperatura por objetivos se sugiere la utilización de una marcada reducción del ratio GM/WM en el TAC cerebral en las dos primeras horas tras la recuperación de la circulación espontánea, o una reducción extensa de la difusión cerebral en la RM a los dos-seis días tras la recuperación de la circulación, en combinación con otros predictores de mala evolución neurológica. Se sugiere la utilización de estudios de imagen cerebral para realizar un pronóstico, sólo en aquellos centros donde de se disponga de experiencia específica. Recomendaciones de tratamiento: Similares a las descritas en situaciones de hipotermia. 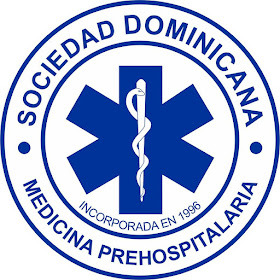 Recomendaciones de tratamiento: se sugiere la administración de agentes trombolíticos en la parada cardíaca cuando el embolismo pulmonar es la causa sospechada de la misma (recomendación débil, bajo nivel evidencia). 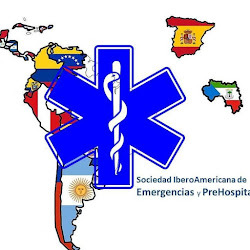 Se sugiere el uso de agentes trombolíticos o embolectomía quirúrgica o trombectomía mecánica cuando el embolismo pulmonar es la causa conocida de la parada cardíaca (recomendación débil, bajo nivel evidencia). Se sugiere en contra de la embolectomía quirúrgica de rutina cuando el embolismo pulmonar es la causa de sospecha en la parada cardíaca (recomendación débil, evidencia de muy bajo nivel). Se sugiere en contra del uso rutinario de trombectomía mecánica en la parada cardíaca cuando el embolismo pulmonar es la causa sospechada (recomendación débil, evidencia de muy baja calidad). Recomendaciones de tratamiento: para la parada cardíaca extrahospitalaria o intrahospitalaria, con un ritmo inicial no desfibrilable, se sugiere que la adrenalina debe ser administrada tan pronto como sea posible tras el comienzo de la parada (recomendación débil, evidencia de baja calidad). 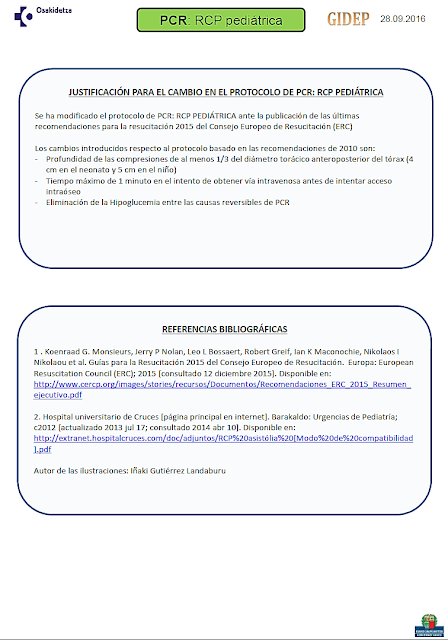 En la parada cardíaca intrahospitalaria con ritmo inicial desfibrilable se han encontrado datos insuficientes para sugerir una recomendación en relación al momento de la administración de adrenalina (no se han encontrado estudios sobre este aspecto). 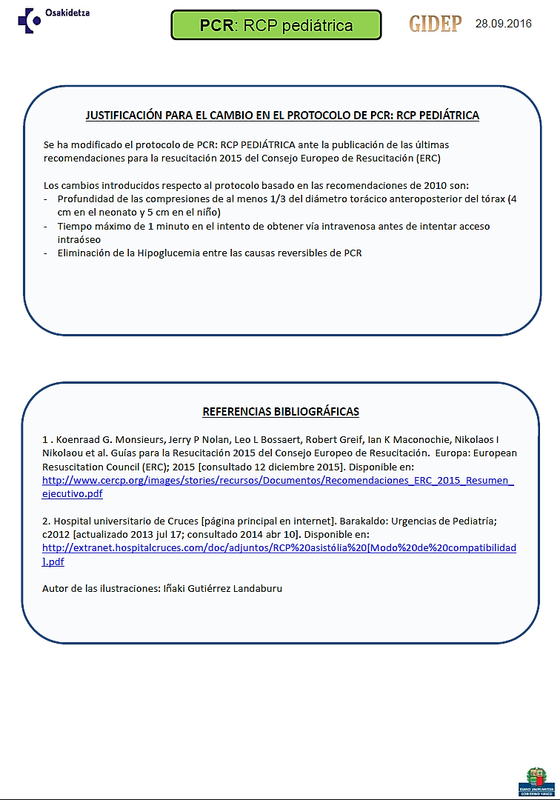 Para la parada cardíaca extrahospitalaria o intrahospitalaria con un ritmo inicial desfibrilable, no se ha encontrado evidencia suficiente para sugerir un tratamiento con respecto al momento de administración de adrenalina, particularmente en relación con la desfibrilación, y el tiempo óptimo puede variar en diferentes grupos de pacientes y en diferentes circunstancias. 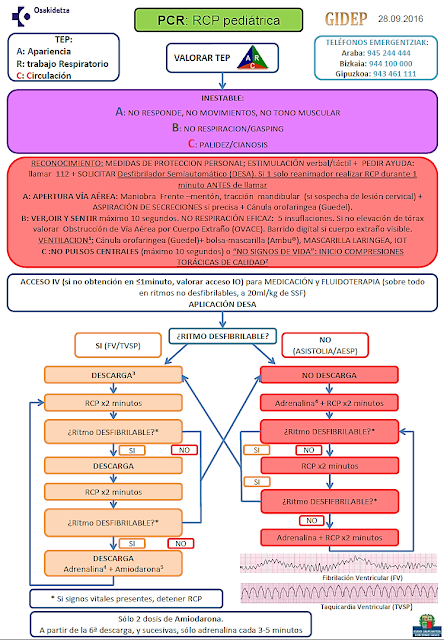 Recomendaciones de tratamiento: dado el beneficio observado en los resultados a corto plazo se sugiere que debe administrarse una dosis estándar de adrenalina a los pacientes en parada cardíaca (recomendación débil, evidencia de baja calidad). Recomendaciones de tratamiento: a pesar de la evidencia de alta calidad de que las altas dosis de adrenalina mejoran los resultados a corto plazo, se recomienda contra el uso rutinario de las mismas en el tratamiento de la parada cardíaca (recomendación fuerte, evidencia de moderada calidad). 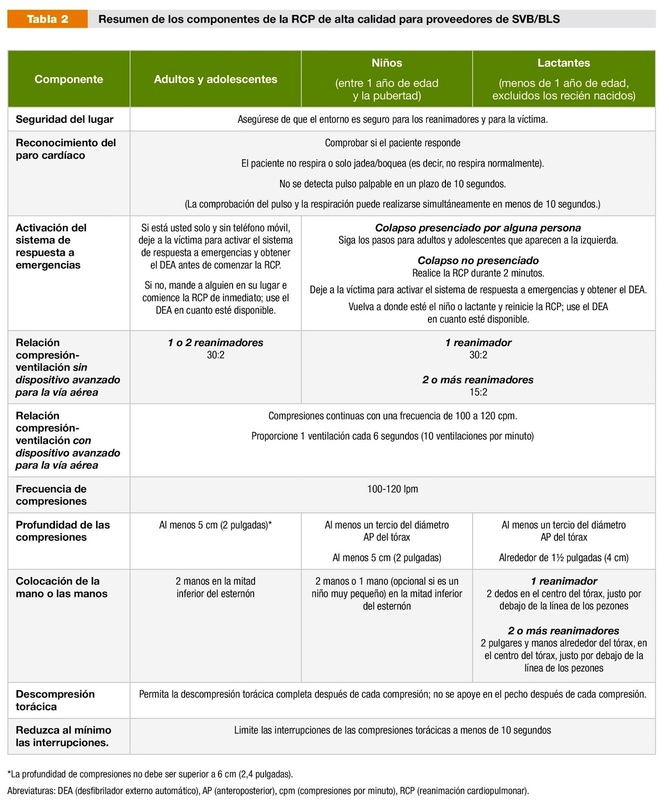 Recomendaciones de tratamiento: se sugiere en contra de la utilización de vasopresina junto a las dosis estándar de adrenalina en la parada cardíaca (recomendación débil, evidencia de calidad moderada). Recomendaciones tratamiento: se sugiere una frecuencia de ventilación de 10 por minuto, en adultos con parada cardíaca y una vía aérea segura que reciban al mismo tiempo compresiones torácicas continuas (recomendación débil, evidencia de muy baja calidad). Recomendaciones de tratamiento: hay estudios que demuestran mejores resultados con la ventilación a unos niveles específicos de PaCO2 en pacientes con recuperación de la circulación espontánea. Se sugiere mantener unos niveles de PaCO2 dentro del rango fisiológico normal como parte de un paquete de medidas post-resucitación (recomendación débil, evidencia de muy baja calidad). La hipocarbia se asocia con empeoramiento del pronóstico y se sugiere que debe ser evitada siempre que sea posible (recomendación moderada, evidencia de muy baja calidad). El límite superior en el que la PaCO2 se considera dañina no está determinado, aunque una hipercapnia suave puede tener algún efecto neuroprotector (recomendación débil, evidencia de muy baja calidad. 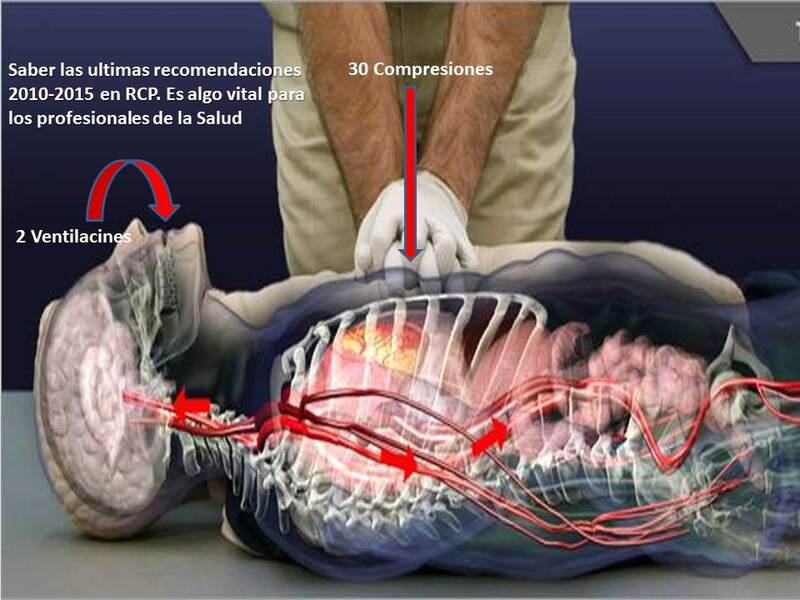 Recomendaciones de tratamiento: se sugiere contra el uso de algoritmos que filtren artefactos para el análisis del ritmo del ECG durante la RCP, salvo dentro de un programa de investigación. Recomendaciones de tratamiento: no existen datos en estudios en humanos para responder a esta cuestión específica. En base a ello se mantienen las recomendaciones de 2010. Debe mantenerse el énfasis en proporcionar compresiones torácicas y en que las pausas para comprobar el pulso, sin una sospecha fuerte de recuperación de la circulación espontánea, pueden provocar un retraso innecesario. 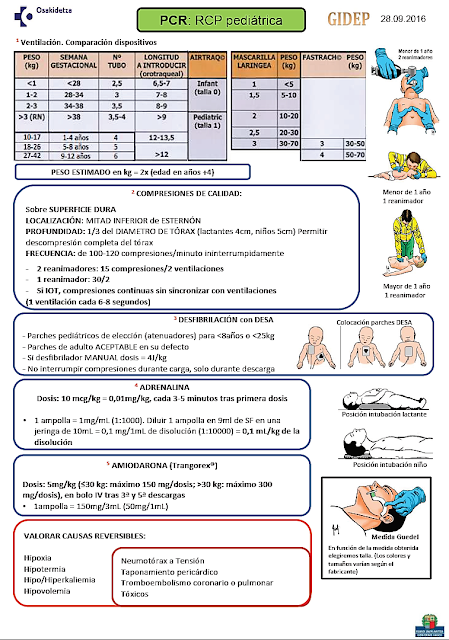 Recomendaciones de tratamiento: se recomienda una profundidad de las compresiones torácicas entre 4,5 y 5,5 cm durante la RCP manual en adultos con parada cardíaca (recomendación fuerte, evidencia de moderada calidad). 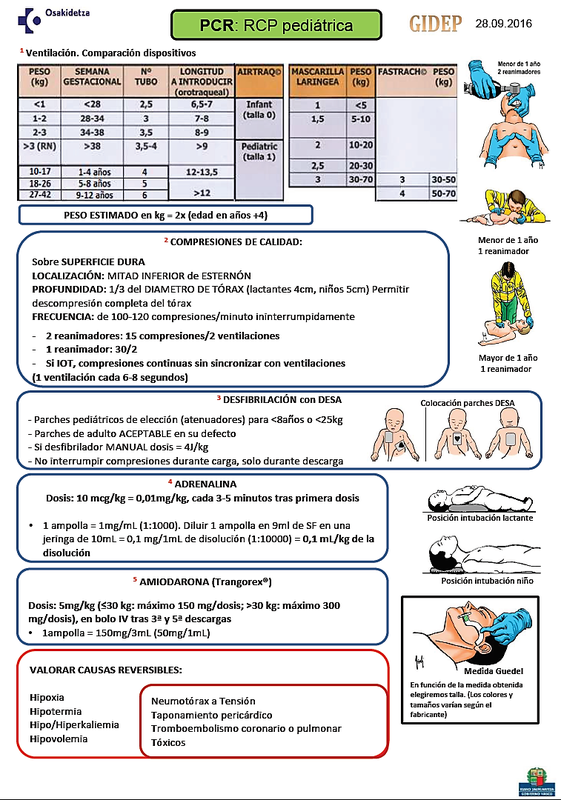 Recomendaciones de tratamiento: se recomienda a los reanimadores realizar compresiones torácicas a todos los pacientes en parada cardíaca (recomendación fuerte, evidencia de moderada calidad). Se recomienda sólo compresiones torácicas para reanimadores legos no entrenados (recomendación fuerte, evidencia de baja calidad). Se sugiere realizar sólo compresiones torácicas por personas legas entrenadas si no son capaces de realizar maniobras sobre la vía aérea y respiraciones de rescate (recomendación débil, evidencia de baja calidad). Se sugiere aplicar ventilaciones por personas legas entrenadas que son capaces de realizar RCP con compresiones torácicas y ventilaciones, y están dispuestos a hacerlo así (recomendación débil, evidencia de baja calidad). Recomendaciones de tratamiento: se sugiere compresiones torácicas manuales a una frecuencia de 100 a 120 compresiones por minuto para adultos en parada cardíaca en cualquier situación (recomendación débil, evidencia de muy baja calidad). Recomendaciones tratamiento: se sugiere que el apoyo sobre la pared torácica debe evitarse y así ignorar la necesidad de retroceso de la pared torácica, tanto en adultos como en niños en parada cardíaca de cualquier situación (recomendación débil, evidencia de muy baja calidad). Recomendaciones de tratamiento: se sugiere una relación de 30:2 (recomendación débil, evidencia de baja calidad). 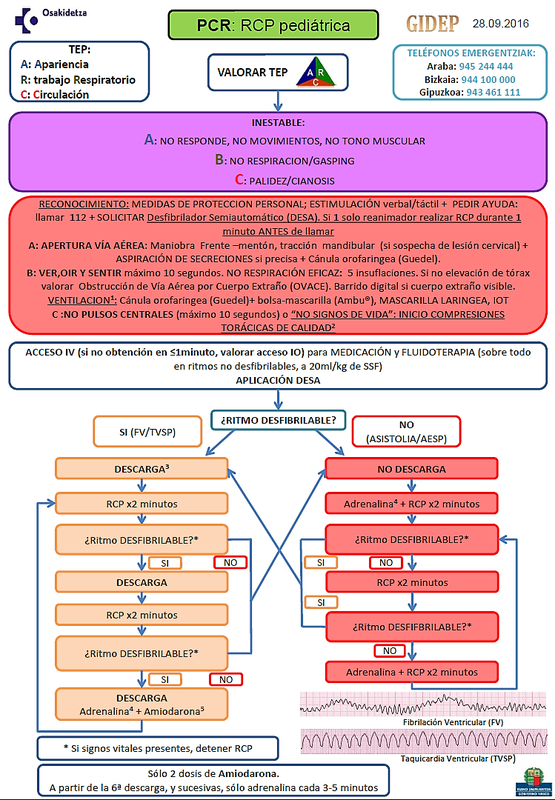 Recomendaciones tratamiento: se sugiere un período inicial de RCP de 30-60 segundos mientras el desfibrilador está siendo aplicado (recomendación débil, evidencia de baja calidad). 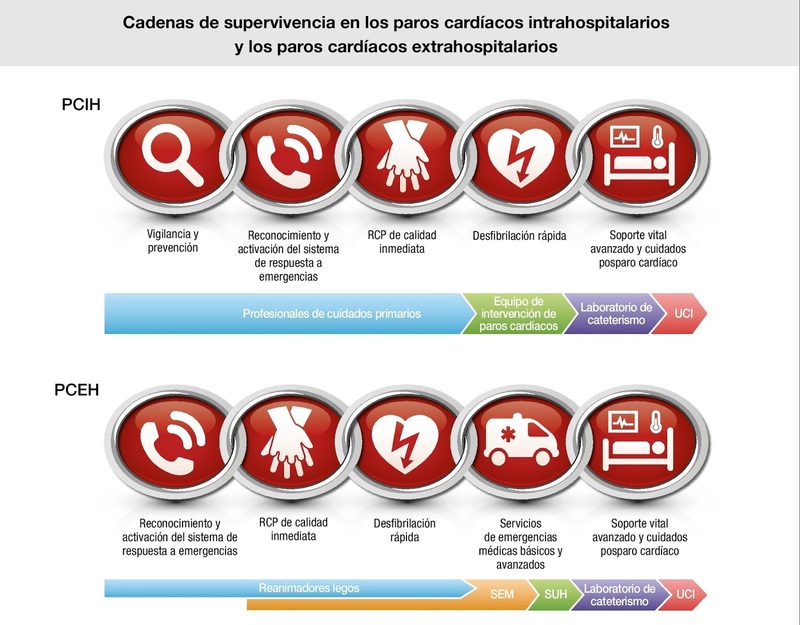 Recomendaciones tratamiento: se recomienda que los reguladores telefónicos deben proporcionar instrucciones para la RCP a los reanimadores alertantes, de cara a mejorar la supervivencia de la parada cardíaca extrahospitalaria (recomendación fuerte, evidencia de moderada calidad). Se recomienda que los reguladores telefónicos proporcionen instrucciones para la RCP a los reanimadores alertantes de cara a mejorar los porcentajes de RCP realizada por testigos (recomendación fuerte, evidencia de calidad baja a muy baja). Recomendaciones tratamiento: se recomienda que un rescatador puede utilizar una duración de la inmersión inferior a 10 minutos como un factor para predecir una muy alta probabilidad de resultado favorable y supervivencia, en adultos y niños sumergidos en agua (recomendación fuerte, evidencia de alta calidad). Se sugiere una duración de la inmersión superior a 25 minutos como factor para predecir una muy baja probabilidad de resultado favorable (recomendación débil, evidencia de baja calidad). Se sugiere que un tiempo de respuesta del SEM superior a 10 minutos se puede utilizar como factor para predecir una probabilidad muy baja de supervivencia en adultos y niños sumergidos en agua (recomendación débil, evidencia de muy baja calidad). Se recomienda contra el uso de la edad, el tipo de agua (dulce/salada), la temperatura del agua o la presencia de testigos, como factores para predecir un resultado adverso en adultos y niños sumergidos en agua (recomendación fuerte, evidencia de muy baja calidad). Recomendaciones de tratamiento: se sugiere realizar compresiones torácicas sin ventilaciones con presión positiva (hasta tres ciclos de 120 segundos de 200 compresiones torácicas continuas, con descargas de desfibrilación si es preciso) en paradas cardíacas por ritmos desfibrilables presenciadas por los equipos de emergencia (recomendación débil, evidencia de muy baja calidad). Recomendaciones de tratamiento: se sugiere contra la implementación rutinaria de dispositivos de retroalimentación de la RCP en sistemas en los que no se estén utilizando en la actualidad (recomendación débil, evidencia de muy baja calidad). En los sistemas que actualmente utilicen dispositivos de retroalimentación de la RCP se sugiere que pueden seguir siendo utilizados y queno hay evidencia de que produzcan daño significativo (recomendación débil, evidencia de muy baja calidad). 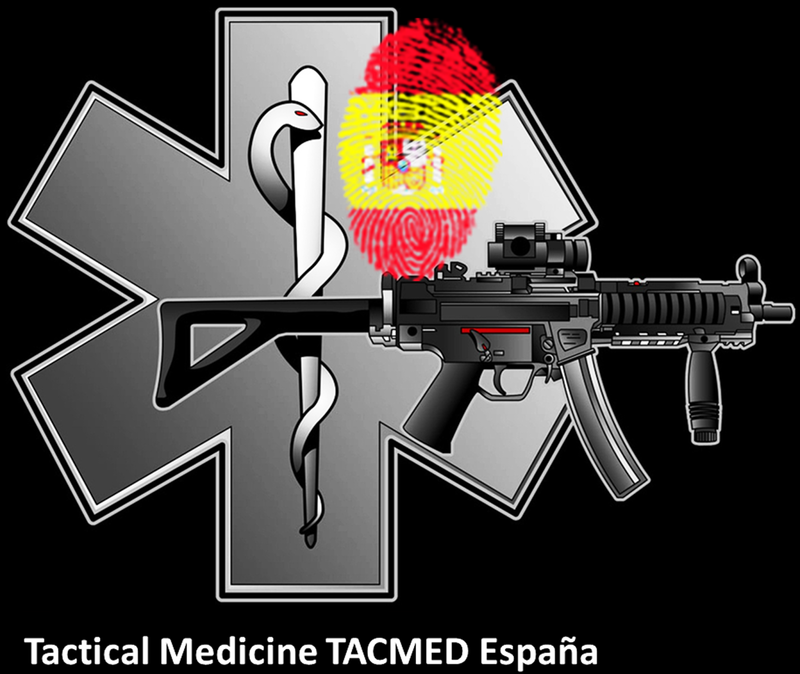 Recomendaciones de tratamiento: se recomienda que las personas legas inicien la RCP sin tener en cuenta posibles daños a los pacientes que no estuvieran en parada cardíaca (recomendación fuerte, evidencia de muy baja calidad). Recomendaciones de tratamiento: se sugiere que las ventilaciones deben aplicarse en 10 segundos (recomendación débil, evidencia de baja calidad). Cuando la vía aérea está aislada, se recomienda que la ventilación se aplique en cinco segundos. 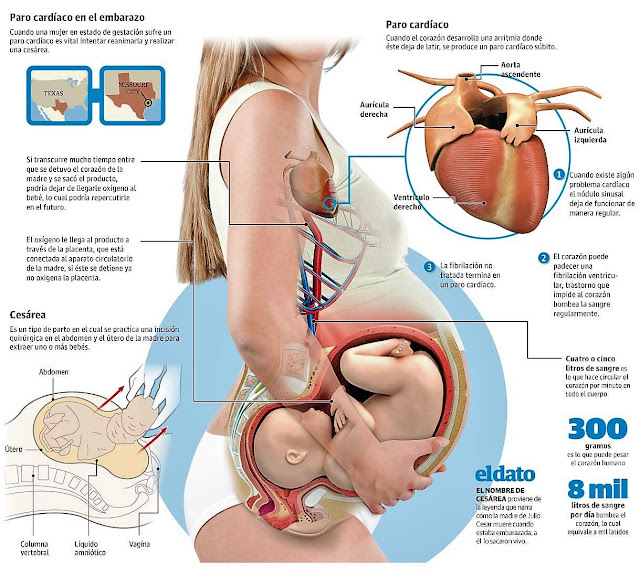 Se sugiere que las pausas pre y post desfibrilación sean lo más cortas posibles. Para la desfibrilación manual se sugiere que las pausas pre-descarga sean menores o iguales a 10 segundos (recomendación débil, evidencia de baja calidad). Se sugiere que la fracción de compresiones torácicas debe ser superior al 60% (recomendación débil, evidencia de baja calidad). 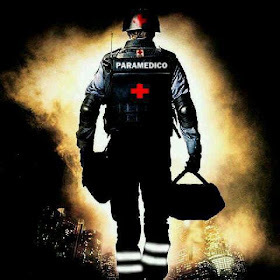 Recomendaciones de tratamiento: se sugiere que en la parada cardíaca en el entorno prehospitalario, los reanimadores de los servicios de emergencias pueden considerar la ventilación pasiva utilizando un tubo orofaringeo y una máscara de administración de oxígeno, mientras se realizan compresiones torácicas continuas (recomendación débil, baja calidad de la evidencia). 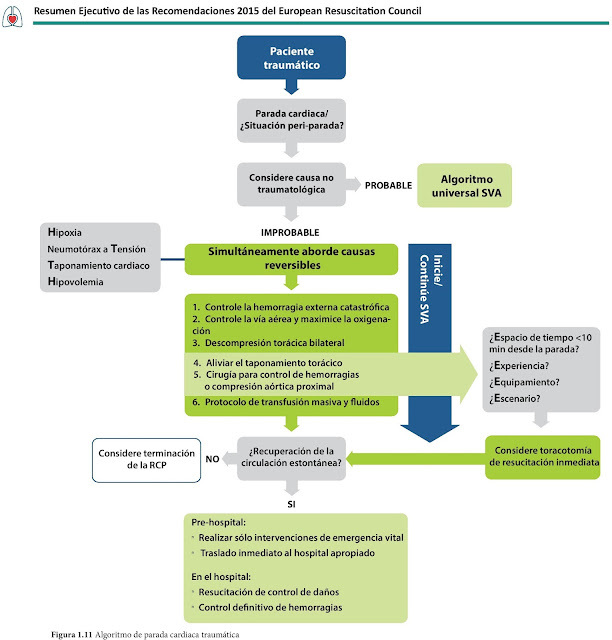 Recomendaciones de tratamiento: se sugiere la implementación de programas de acceso público a la desfibrilación para pacientes con parada cardíaca extrahospitalaria (recomendación débil, evidencia de muy baja calidad). 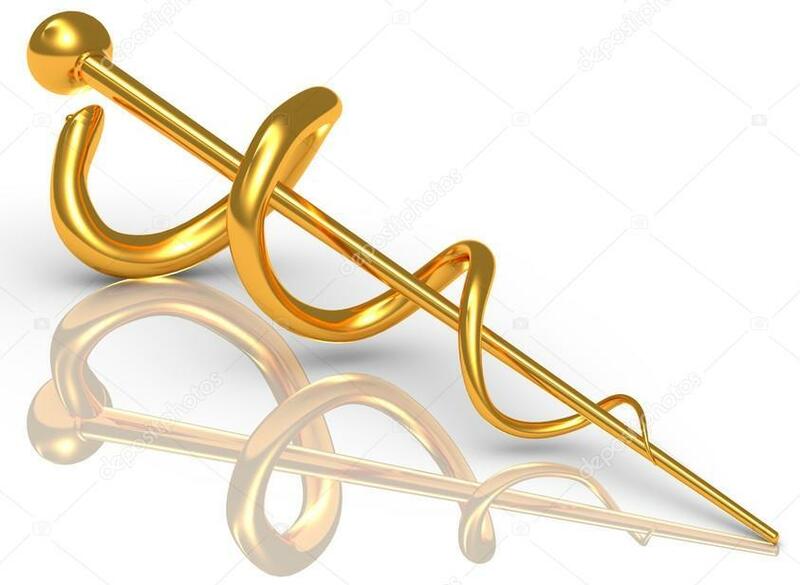 Recomendaciones de tratamiento: se sugiere contra la comprobación del ritmo cardíaco inmediatamente después de la desfibrilación en comparación a la inmediata reasunción de compresiones torácicas con posterior comprobación del ritmo cardíaco (recomendación débil, evidencia de muy baja calidad). Recomendaciones de tratamiento: se sugiere que el algoritmo de resucitación CAB es preferible al ABC para adultos y niños en parada cardíaca en cualquier situación (recomendación débil, evidencia de muy baja calidad). 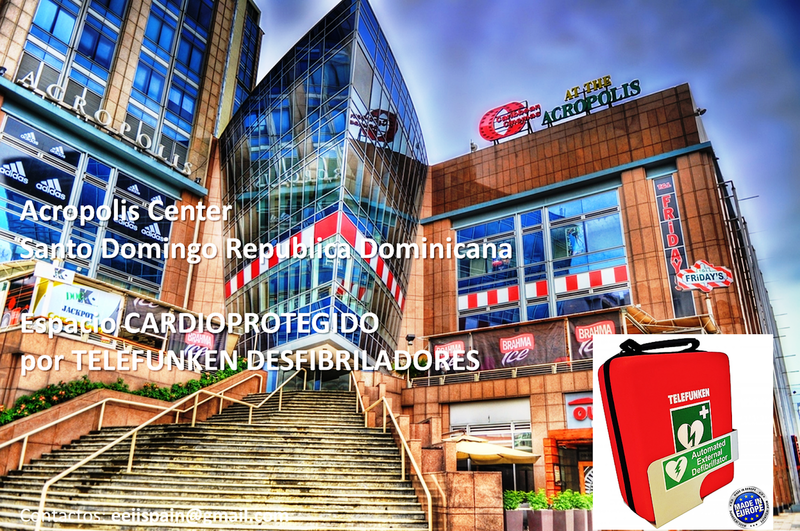 Recomendaciones de tratamiento: se sugiere mantener las recomendaciones actuales de detener las compresiones torácicas cada dos minutos para valorar el ritmo cardiaco (recomendación débil, evidencia de muy baja calidad). 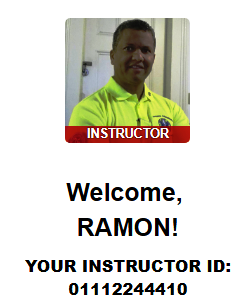 Recomendaciones de tratamiento: se sugiere que la auto-instrucción basada en video/dispositivo digital con práctica puede ser una alternativa efectiva a los cursos dirigidos por instructor (recomendación débil, evidencia de baja calidad). 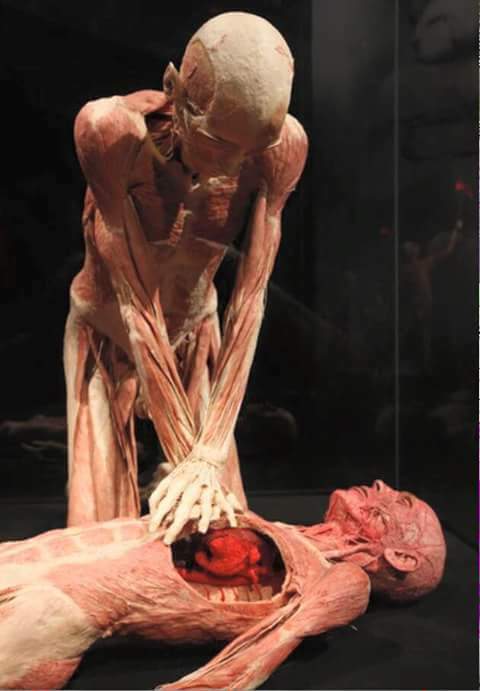 Recomendaciones de tratamiento: se sugiere la utilización de maniquíes de baja fidelidad para el entrenamiento estándar en soporte vital avanzado en un entorno educacional. Se sugiere la utilización de maniquíes de alta fidelidad cuando los centros/organizaciones de entrenamiento tengan infraestructura, personal entrenado y recursos para mantener el programa (recomendación débil, evidencia de muy baja calidad). Recomendaciones de tratamiento: se sugiere de forma favorable el uso de estrategias de mejora de la calidad en organizaciones que traten parada cardíaca (evidencia de muy baja calidad). Las estrategias estudiadas han incluido la valoración de datos del proceso de RCP o registros en vídeo de las resucitaciones, equipos de “debriefing” tras la parada cardíaca o sistemas de entrenamiento para mejorar los tiempos de respuesta de la desfibrilación (evidencia de muy baja calidad). 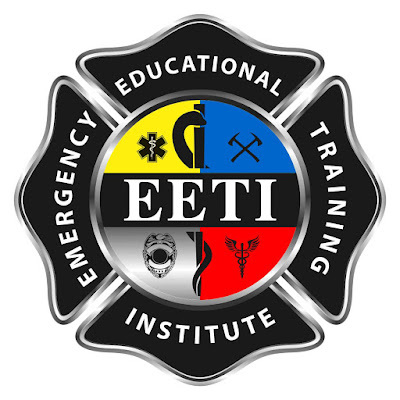 Recomendaciones de tratamiento: se sugiere a favor de la preparación pre-curso sobre la no realización de la misma en entrenamiento en soporte vital avanzado (recomendación débil, evidencia de baja calidad. ¿Qué podemos por tanto, esperar cuando se publiquen las nuevas recomendaciones? No hay garantías absolutas de qué será incluido y qué no en las nuevas guías, aunque se han presentado y discutido distintas posibilidades, como se ha expuesto anteriormente. 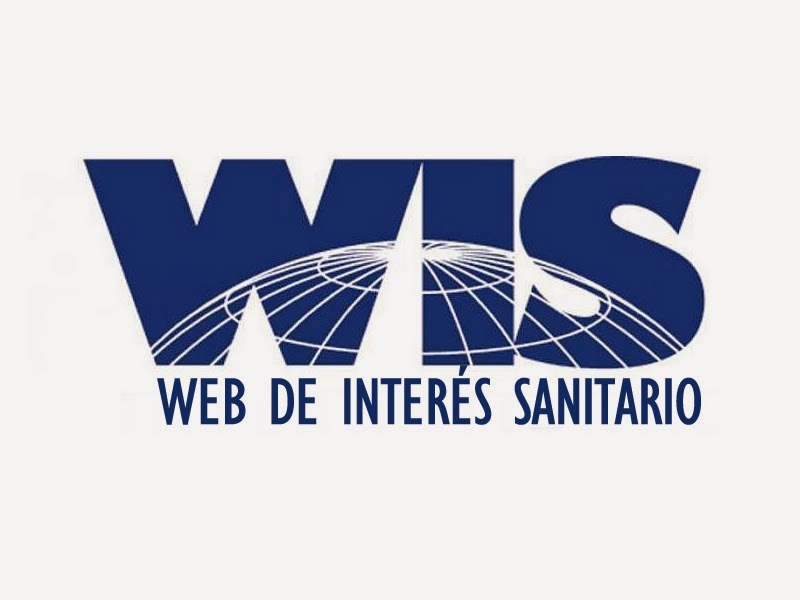 Probablemente otras muchas cuestiones se habrán presentado en la conferencia de Dallas y no han sido mostradas en la web del ILCOR. Un mayor énfasis en la RCP de alta calidad e incluso con incremento del número de compresiones torácicas que deben realizarse 100-120 por minuto. 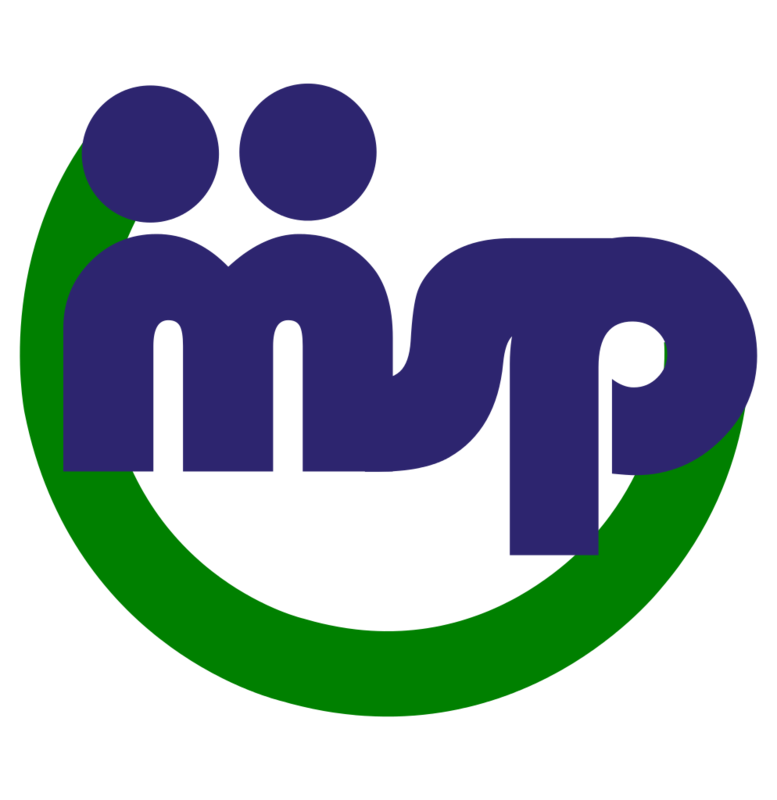 En este sentido es más que seguro se remarque la necesidad de mínimas interrupciones de la RCP, en lo que los dispositivos mecánicos pueden jugar su papel. Es muy posible también que se hará un énfasis especial en las paradas cardíacas no presenciadas. Desde este punto de vista parece que está claro que existen grandes diferencias en la actitud ante un paro cardiaco con testigos o sin ellos. En este aspecto podrían introducirse estrategias de utilización de dispositivos de monitorización, instalados en pacientes en riesgo y que en ausencia de testigos puedan activar los servicios emergencias en caso de un paro cardiaco. También será importante en las futuras guías valorar el tiempo máximo que debe realizarse la RCP, puesto que estudios han demostrado que continuándola hasta 45 minutos puede conseguirse la recuperación de la circulación espontánea y posteriormente la supervivencia de las víctimas. Puesto que el paso previo a la supervivencia es la recuperación de la circulación espontánea, los procedimientos que acompañen un incremento de ésta probablemente serán destacados. Es más que probable se reduzca el énfasis en la realización de hipotermia, en base a los últimos estudios presentados, y que se insista en el control de la temperatura en base a objetivos alrededor de 36°C. 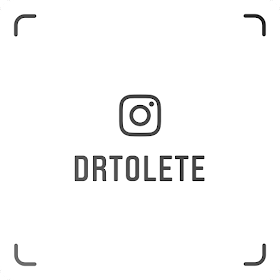 Es posible que se valore la utilización junto a adrenalina de otros fármacos como esteroides o vasopresina; esta última ya aparecía en las recomendaciones de la AHA. Aunque por lo revisado no queda claro su papel. El empleo de sistemas de retroalimentación de la calidad de la RCP para los equipos de resucitación, es muy probable que reciba mención destacada. La utilización de la ECMO (Oxigenación de Membrana Extracorpórea) en casos de PCR sin otra comorbilidad y refractariedad a las medidas convencionales, puede ser otra técnica que parezca recomendada para centros con disponibilidad y experiencia. Finalmente, y en lo que concierne a las recomendaciones del ERC deberemos esperar a ver si se concretan modificaciones en la estructura de los algoritmos de soporte vital básico y de soporte vital avanzado, adaptando una estructura circular, tal como hizo la AHA en el año 2010. A pesar de todo ello, y de la gran expectación que las nuevas recomendaciones irán teniendo según transcurra el año y se acerque la fecha del 15 octubre, los datos presentados aquí son sólo meras aproximaciones para los lectores interesados. Asimismo, debe tenerse en cuenta que a pesar del minucioso y exhaustivo proceso de evaluación de la evidencia para la elaboración de las recomendaciones, sólo entre un 10 y un 20% de las mismas estarán basadas en ensayos clínicos aleatorizados, siendo la mayor parte de las recomendaciones basadas en evidencia de bajo o muy bajo nivel de calidad. ®REMI, Un adelanto de las recomendaciones 2015 para RCP. Marzo 2015. 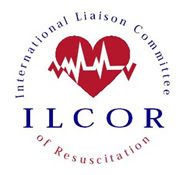 ILCOR meets twice each year usually alternating between a venue in the United States and a venue elsewhere in the world. 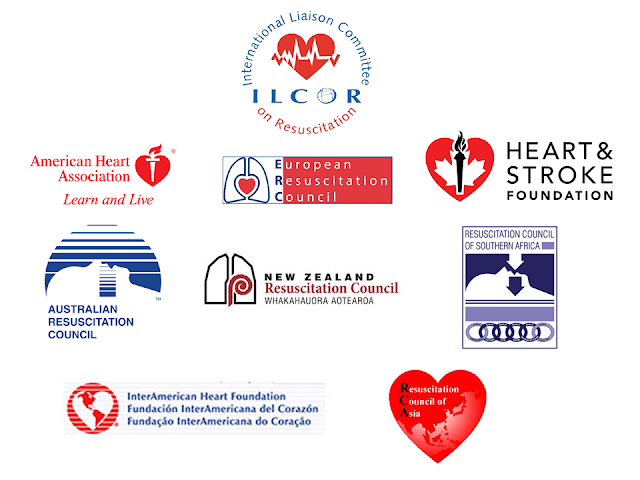 In collaboration with the AHA, ILCOR produced the first International CPR Guidelines in 2000 and an International Consensus on CPR and ECC Science with Treatment Recommendations in 2005. Once again, in collaboration with the AHA, ILCOR is now co-ordinating an evidence-based review of resuscitation science, which will culminate in a Consensus Conference in February 2010. 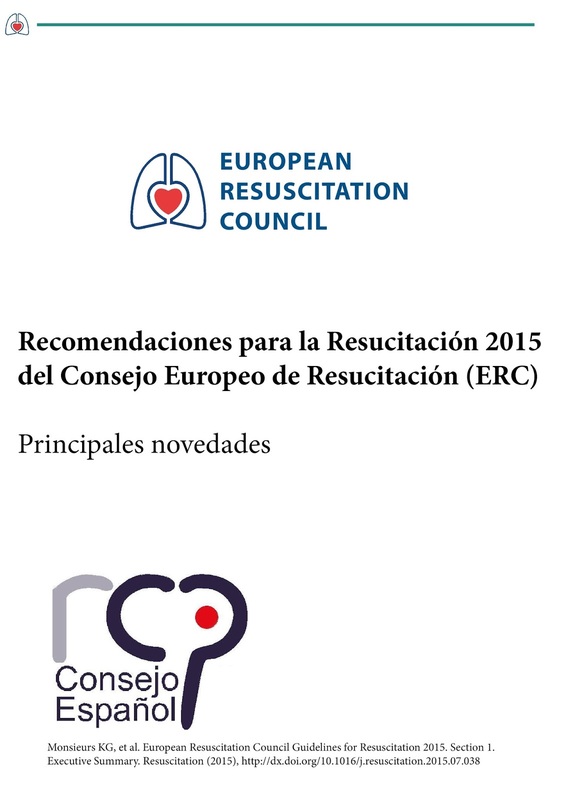 The proceedings of this meeting, to be published in October 2010, will provide the material for regional resuscitation organisations, such as the ERC, to write their resuscitation guidelines. 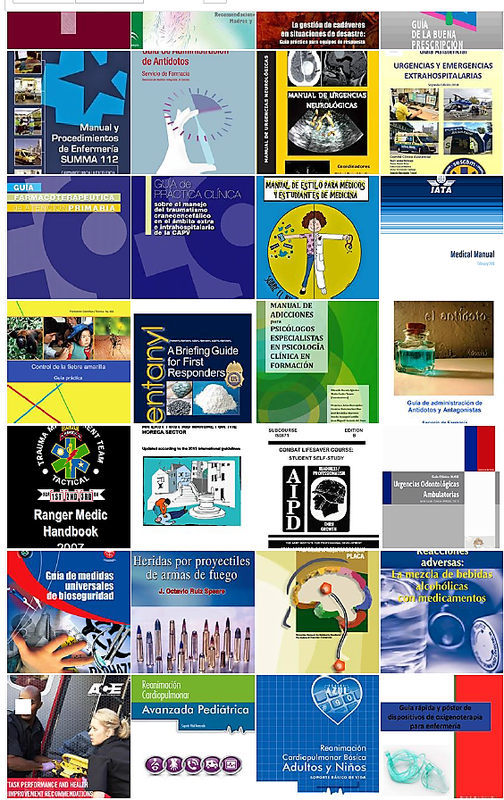 EFECTOS NEGATIVOS DE LAS DROGAS MANUAL Y VIDEOS: heroina, fentanilo, and carfentanilo, morfina, BENFODIAZEPINAS, COCAINA, MARIGUANA (Cannabis). 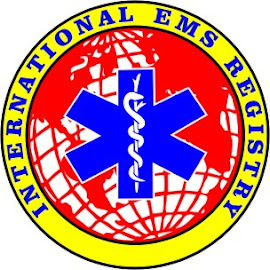 Publicado por EMS Solutions International en 2/17/2019 06:17:00 a. m.